Blu has been responsible for the release of various low price, average spec smartphones already this year, and the new Studio 5.5 continues that tradition. What makes it standout, aside from the choice of bright colors, is its massive 5.5-inch display and almost unfeasibly cheap price. Where else can you find an unlocked smartphone/tablet hybrid for $180? If you’re surprised the Studio 5.5 is so cheap, don’t be, as the rest of the specification explains how Blu is able to price it so low. For a start, there’s no 1080p resolution here, so don’t expect to best the Galaxy Note 3 for a quarter for the cost, and don’t hold out hope for 720p either. No, the 5.5-inch TFT touchscreen has 480 x 854 pixels to its name, making for a lowly 178ppi pixel density. So, not exactly an auspicious start, however at least a quad-core processor is on hand, although it is MediaTek’s MTM6589 platform, rather than the better know Snapdragon 800 we’re used to seeing in this type of device. Blu has given the Studio 5.5 1GB of RAM and only 4GB of internal storage space, but there’s a MicroSD card slot that accepts 64GB cards. Seeing where Blu has cut costs is easy and it continues with the camera, as on the back is a 5-megapixel lens, and above the screen is a VGA camera, ready to make some pixelated video calls. The Studio 5.5 has two SIM slots under the rear cover, along with a 2250mAh battery, plus the phone has 3G connectivity and an untouched version of Android 4.2 Jelly Bean as its operating system. A standard black or white color scheme is available, however if you’re tired of your retinas, then the Studio 5.5 also comes in searing yellow, pink or blue. 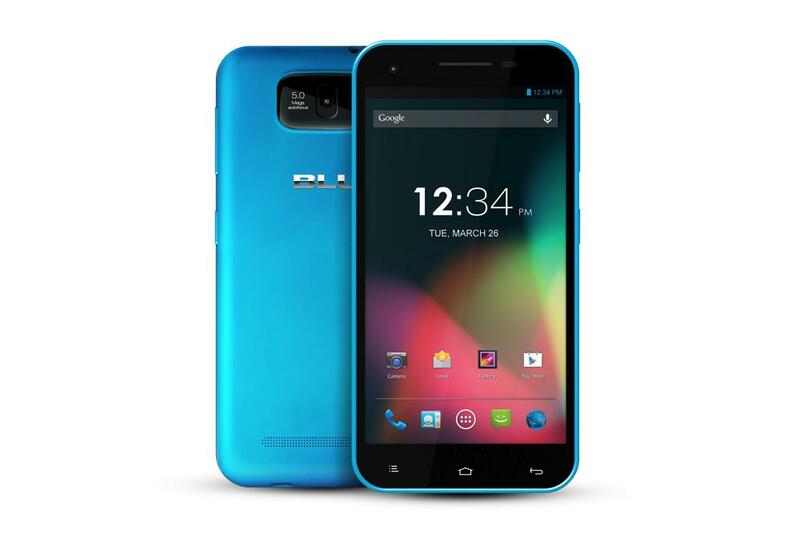 Basic specs aside, Blu’s phablet offers a whole lot of screen real estate for your money, and the clean install of Android 4.2 certainly ups its desirability a notch. The Studio 5.5 will be available through Amazon and Best Buy soon, although no final release date has been provided yet. Nokia 4.2 vs. Moto G7 Play: What’s the best phone for $200?